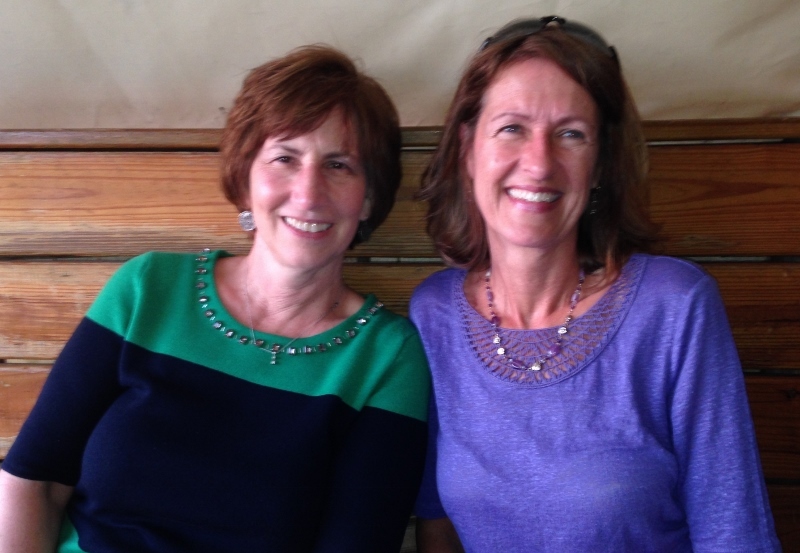 We experienced a Ft Lauderdale connection during early February. First, our cruiser/RV friends John and Katy drove down from their Lauderdale RV park to hang out for a few hours and thanks to FB was able to help them connect with our mutual friends on Traveling Soul who happened to be in a Lauderdale marina for a few days. Then we had the chance to drive up there when our (chilled to the bone) CT friends, Linda and Thom flew to West Palm for a much-needed R&R break. They wanted to spend time in Lauderdale, so we agreed to meet on Beach Blvd. 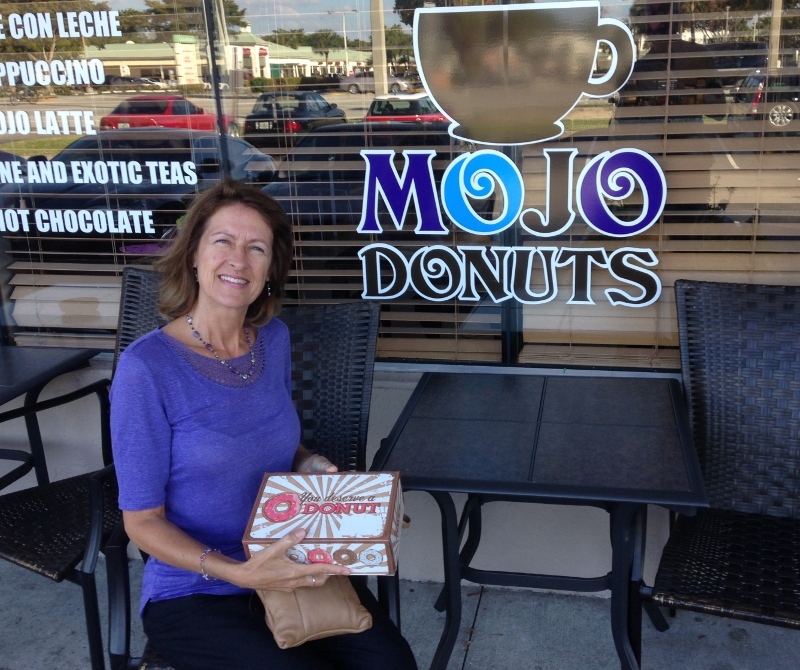 I’ll spare you the details of some stops we wanted/needed to make along the way; but the best was Mojo Donuts. Thanks again Eva!! The cool retro box reads, “You deserve a Donut” and yes, we did. Two down, four to go. 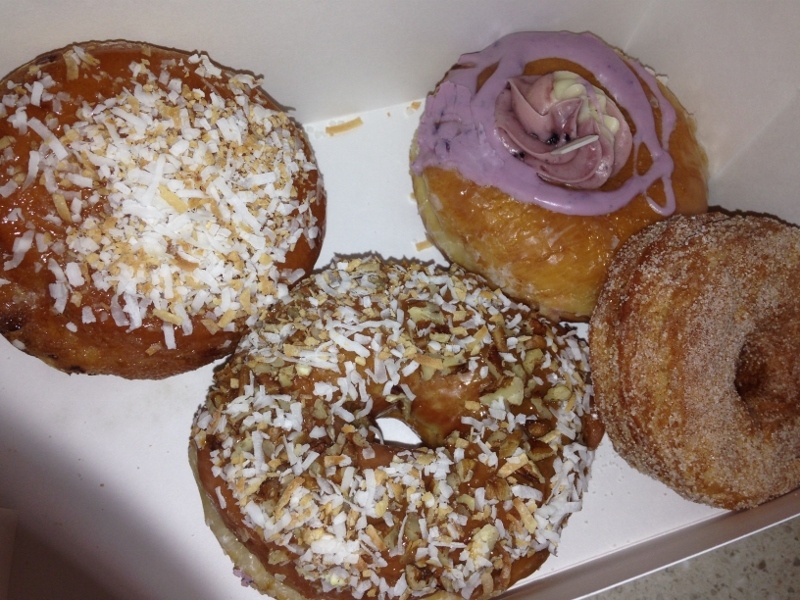 That’s a Cronut on the right. 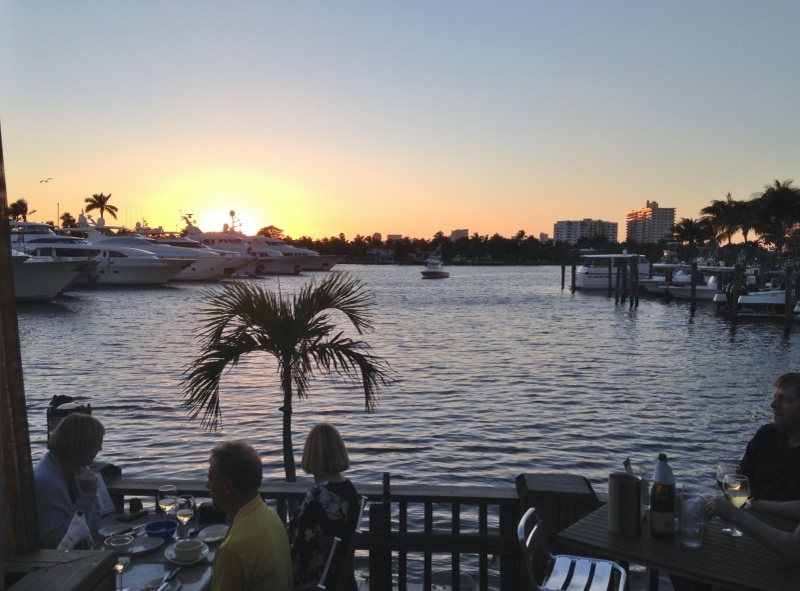 We were curious about Ft Lauderdale; Russ had never been and my Spring Break 1980 visit was memorable but so very long ago. We always sailed offshore past this area for several reasons, so no boating visits either. The parking lot we were headed to (how DID we ever survive without GPS and Google Maps?) 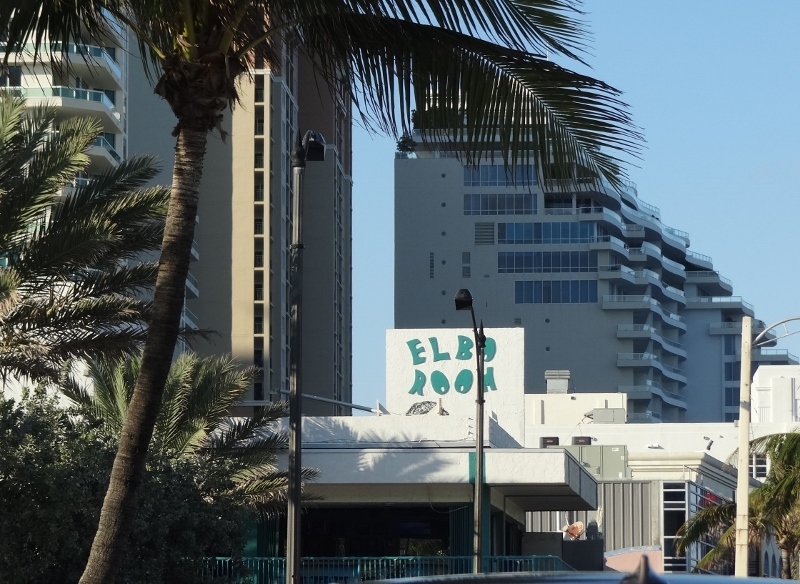 was just off S. Lauderdale Beach Blvd and we turned at the corner where the Elbo Room sat holding its own among so many new tall buildings and missing hangout bars. Yes, I can confirm that Ft Lauderdale is no longer the wild college spring break destination of years past.